Reverse Engineering is the process of discovering the technological principles of a device, object, or system through analysis of its structure, function, and operation. It often involves taking something apart and analyzing its workings in detail to be used in maintenance, or to try to make a new device that does the same thing without using or simply duplicating the original. 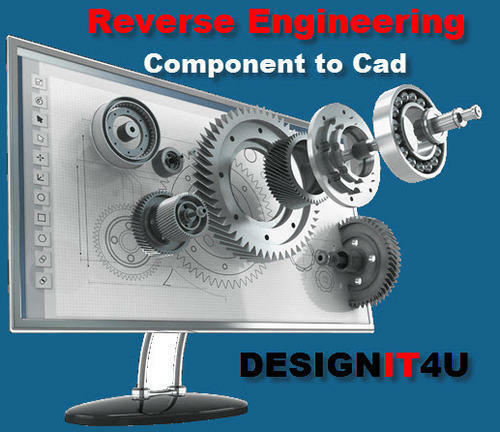 Reverse engineering has become a viable method to create a 3D virtual model of an existing physical part for use in 3D CAD, CAM, CAE or other software. The reverse-engineering process involves measuring an object and then reconstructing it as a 3D model. The measured data alone, usually represented as a point cloud, lacks topological information and is therefore often processed and modeled into a more usable format such as a set of NURBS surfaces, or a CAD model. Reverse engineering is also used to bring existing physical geometry into digital product development environments, to make a digital 3D record of their own products, or to assess competitors' products. It is used to analyze, for instance, how a product works, what it does, and what components it consists of, estimate costs, and identify potential patent infringement, etc. We are offering Reverse Engineering Services. Mock-up & prototyping, as we understand is very important aspect in new product development. We use simple and fast prototyping methods to demonstrate products at different stages of product development. These prototypes help us to make better design decisions and refine our designs from user, function, manufacture ability and cost point of view. Looking for “Reverse Engineering Services”?